The People's Liberation Army or PLA has a lot of veterans, about 57 million people. They are the latest group of people to grumble about their (lack of) benefits and aren't very happy. 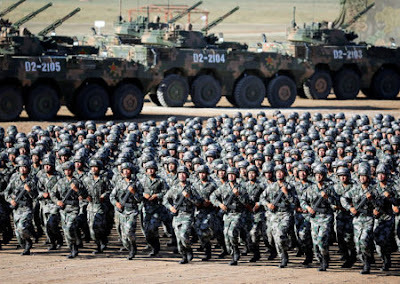 The government is so worried they will divert attention from the 91st anniversary of the founding of China's military tomorrow that vice-minister Fang Yongxiang gave a press conference saying now was not the time to voice grievances about welfare rights. "We oppose the use of extreme moves to petition, and the staging of mass gatherings," he said. "We hope every veteran can respect the law and not threaten the stability of our society because of an impulse. 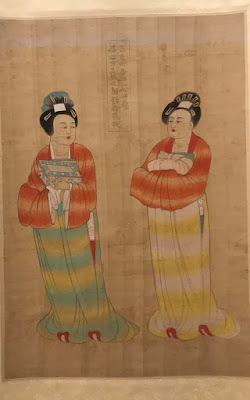 "We hope that everyone can report their problems in a rational and peaceful way... and prevent radical words... and avoid being used by people with ulterior motives." In recent months, former servicemen and women have staged numerous rallies calling for better welfare rights. Some protestors have claimed they were assaulted by groups of thugs hired by officials. There was also a five-day rally in Zhenjiang, Jiangsu province in June, where some protestors said the event ended when armed police were sent to disperse the crowd. A military source close to the provincial government said "more than 10 officials" involved in the rally were punished for their handling of the event. He also said authorities in other parts of the country had increased their monitoring of veterans on the approach to the military's anniversary on Wednesday, August 1. "Governments in other provinces and cities have been on high alert to prevent any similar protests from being organized," the person, who requested anonymity, said. "To prevent any possible petitioning, household registration authorities have started calling [at people's homes] and updating the information they have about veterans, to make sure they know their whereabouts." 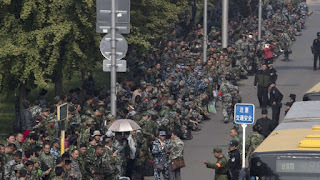 Last week hundreds of people staged protests outside veterans' affairs offices in Shandong, Hebei and Jiangsu provinces. 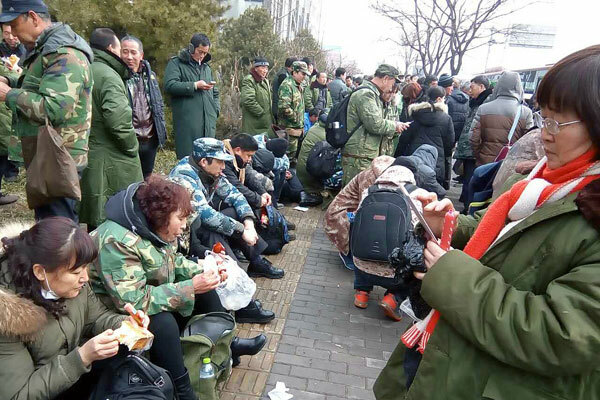 In Jinan, Shandong, police officers were dispatched to block exits at the city's railway station to prevent more people from joining the protest. Gou Zhengguo is a former soldier who fought in the Vietnam war and now lives in Hunan province. He said many veterans were told they could gather to air their grievances, but not in public places or in large numbers -- probably meaning no larger than three people. "Some local authorities think that the civil rights movement by veterans, who only want better retirement benefits, is becoming more complicated and being used [as a front] by hostile forces from overseas," he said. Who are these "hostile forces" that always conveniently pop up to supposedly disrupt things? Perhaps the government should buckle down and sort out the veterans' grievances? 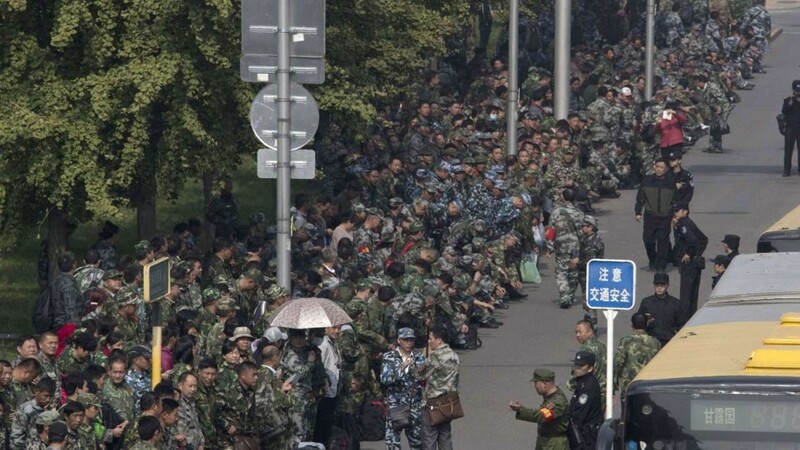 Zeng Zhiping, a military law professor at Nanchang Institute of Technology in Jiangxi province criticized the authorities for being more concerned with breaking up protests than finding solutions to the veterans' problems. "It's such a stupid and short-sighted move to highlight how much social unrest the authorities have successfully tackled," he said. "This kind of approach may be a credit on local officials' lists of political achievements, but it will stir up more conflict between veterans and local authorities, and sow the seed for more trouble." Soldiers do not earn much money in the military, and when they leave, they haven't amassed much in terms of savings which leaves these veterans very unhappy after what they thought was an honourable job. The Ministry of Veterans' Affairs opened in April, meant to tackle their grievances; at Tuesday's press conference, they announced measures to help 120,000 ex-servicemen and women find new jobs and improve the welfare packages of 10,000 retirees and disabled former soldiers. These initiatives seem like a drop in the bucket to help the 57 million veterans who have served the country. Surely money used to quell protests would be better used to give veterans what they want?